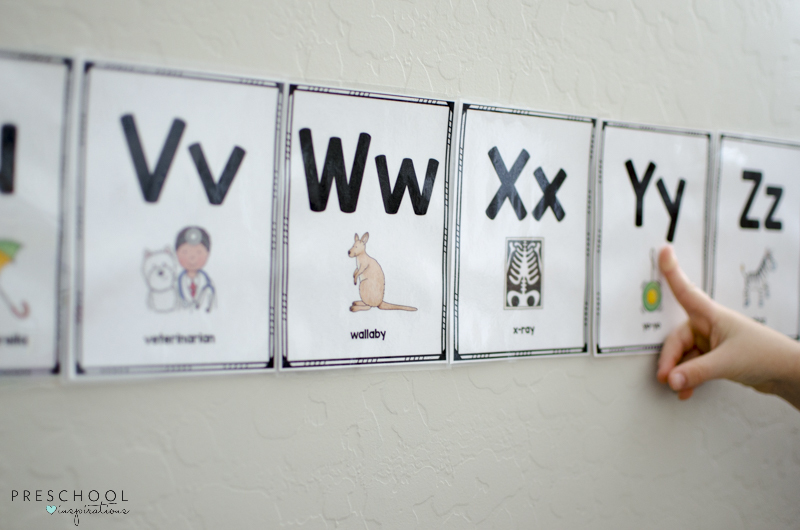 Inside: Use beautiful alphabet wall cards and alphabet posters for preschool or kindergarten. Art Supplies – A child with a paintbrush or crayon is a happy child! Bubbles – Let’s be honest, bubbles are magical to children! Bubbles are probably as awesome as magic fairy dust. Music – This is the language of a child! It teaches them to learn, listen, and soothes their soul. Books – Grab the right book, and you’ll have children intently listening and engaging, all while learning at the same time. 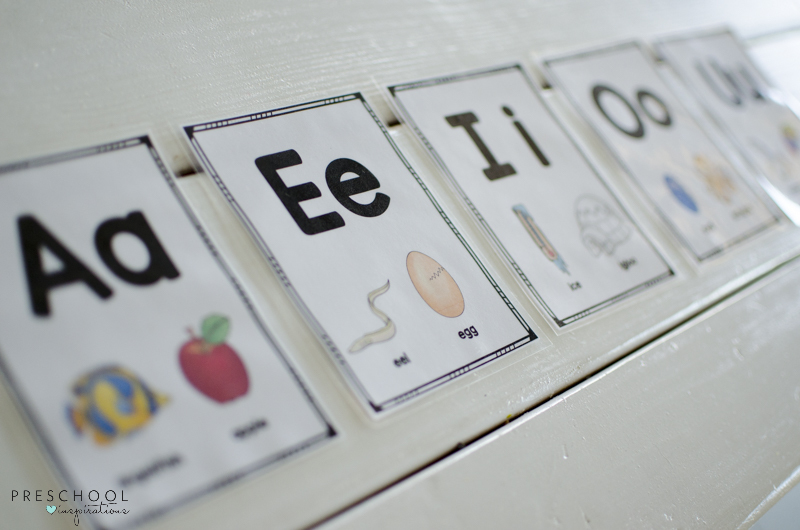 Alphabet Posters or Cards – A must-have for every preschool classroom and homeschool! 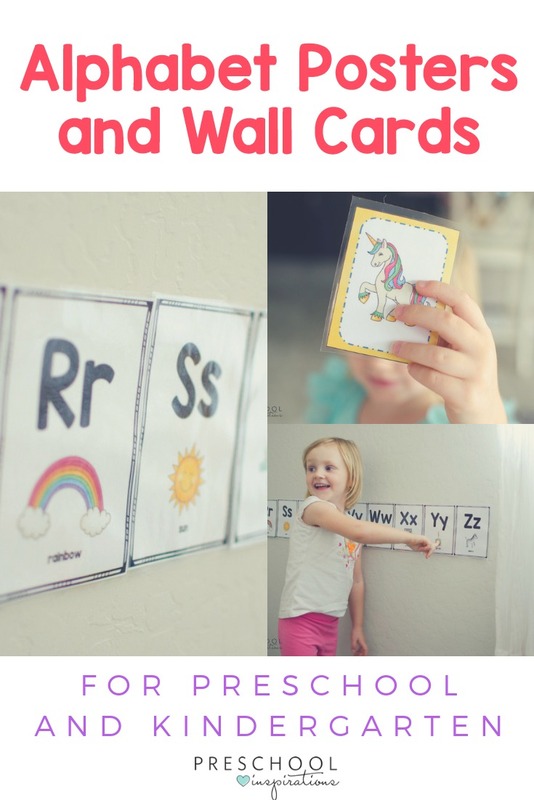 Why Use Alphabet Wall Cards? Sometimes I walk into classrooms that have alphabet posters, and they just kind of sit there all year. And I get it. There are times that we use items just because they are required. Or sometimes they get forgotten about. I’ve done that myself. It just starts to blend in with the wall. 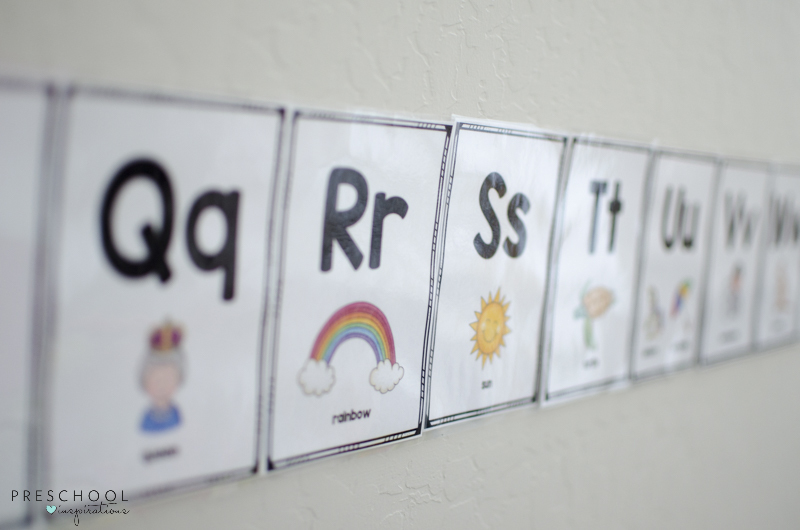 As someone who only puts the necessities on the wall in my preschool classroom (which is mostly child-made art), I’ve always made sure that an alphabet was up there in some form or another. At times it was because it was required where I worked, but then I also used them when it wasn’t required because I found ways to use alphabet wall cards so that children were asking questions about them and figuring out important literacy skills like phonics. It is important to expose children to the alphabet because we want them to interact with it and become familiar with these straight and curvy lines that form together as letters. Letters that come together and create words. Words that come together to make sentences. It all begins early on. I once heard it explained really well. When we read to children, we point to the words so that it gives meaning. This helps them realize that we are not just making up a story. They start to see that we are saying a word written on the page. 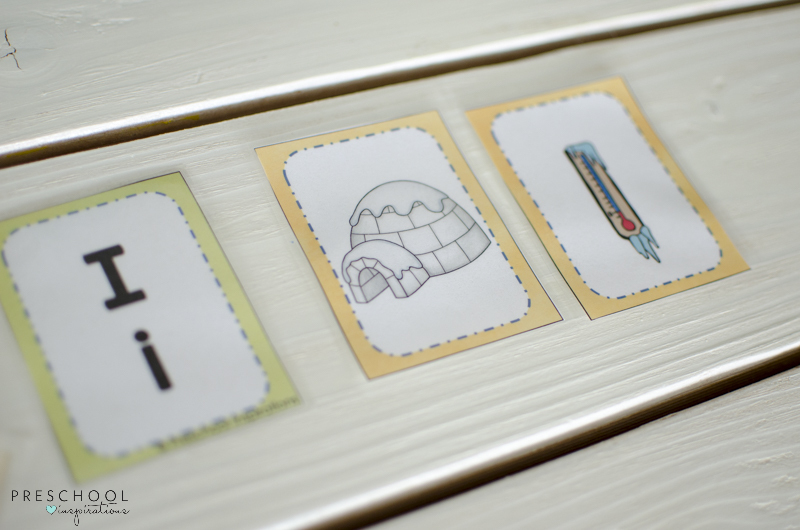 Alphabet wall cards with pictures are an extra bonus because it gives children a visual to help them remember the letter sound(s). Whenever we can involve the senses, children will learn more. Other ways that I love to help children learn the alphabet is with music. We especially love learning the alphabet through the alphabet songs. 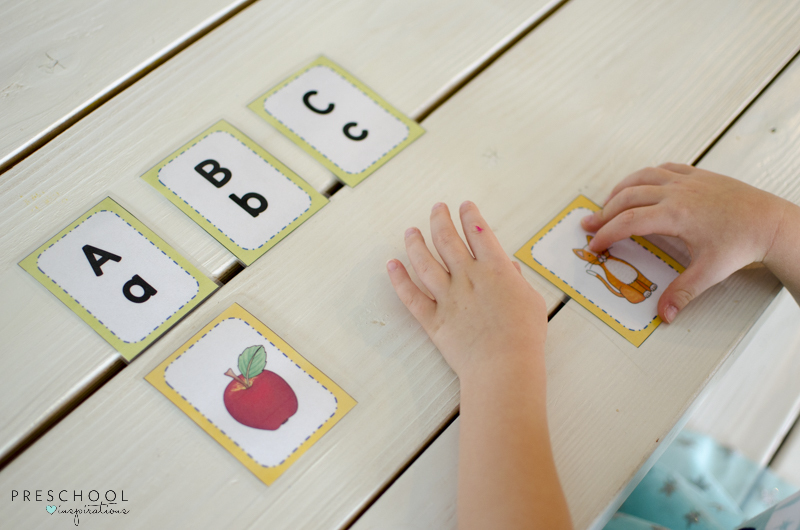 If you are singing alphabet songs, pointing out a picture in a visual, holding an object, or moving your body to a letter sound, you are giving children the ability to learn in multiple ways. We also love using hands-on alphabet games and activities. All children learn differently and some will learn better by seeing, or by doing, or by hearing. I try to remember this first and foremost and incorporate all of these. When my youngest turned three-years-old, I realized that we needed a new set of alphabet posters. After 15 years of teaching, I just needed some nice new ones that were crisp and made me happy. Wanna know what was on my dream wishlist? After looking awhile for alphabet posters that met my demands wishlist, I realized I needed to make my own. So now we have alphabet posters with unicorns, rainbows, and a large sprinkling of happiness. I even made a set of game cards to go along with it. 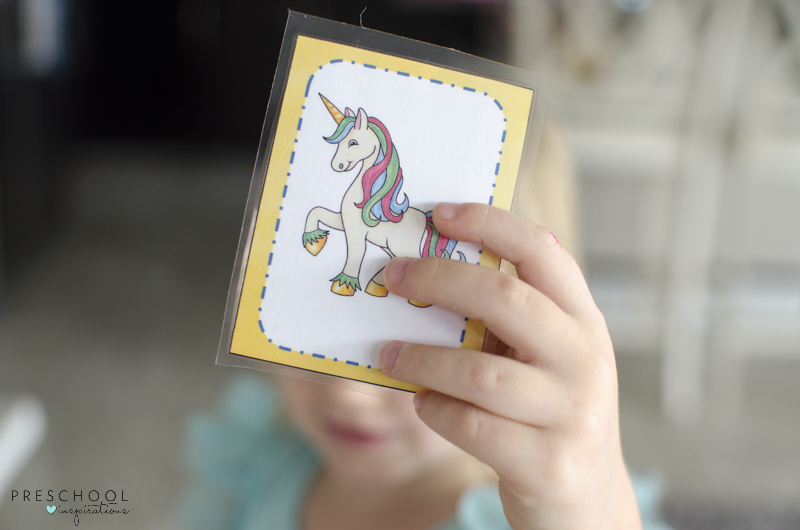 If you’re wondering how to display alphabet wall cards, there are a few different ways. First, look at your wall space. As long as you are putting them left to right, it doesn’t really matter if you use rows or if you have one big long row. Or even if it’s on just one wall or more than one wall. It really just depends on how much flexibility you have. Or who might be mad at you. There might be a story or two or three behind that. My husband does not have the same affection for multi-purpose that I do. For a classroom, I would keep these full-size unless you are really lacking wall space. For my daughter, I printed them 4 to a page and put them in her bedroom at eye level. That’s fairly easy to do. Just go into your printer settings and select multiple and make sure it says 4 to a page. I have these alphabet posters and cards over in my Teachers Pay Teachers store if you want to see more about them. As I was making the alphabet posters, I thought it would be so fun to add a hands-on game to go along with it. I thought it would be a fun bonus to have an alphabet card game to help as a literacy center activity. 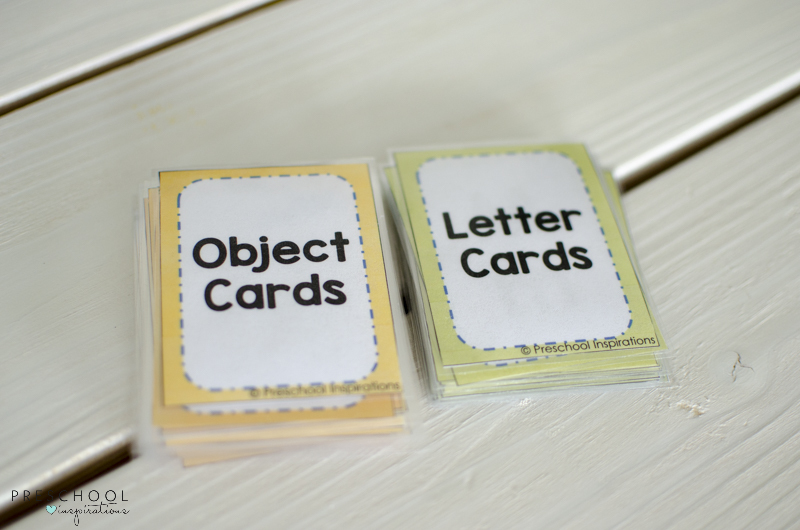 It has object cards and letter cards to help reinforce which sounds belong to which letters. This is how I used it with my daughter. I just started off with three letters. Then I found the matches and set them to the side. She is a beginner about learning letters, so some kids could easily skip to more letters. But for starters, three is a good number. This way she’s not hunting through 23 other letters to find the three she needs. I just said each sound and each word and helped her match the picture to the correct letter. In case you are wondering, I don’t say the letter names. Just the sounds. I teach letter sounds first (because it’s more useful). Although, lots of the time, they both happen at the same time. My focus is on sounds though. I also introduced her to a new letter. The letter I. You can use both the short vowel and long vowel cards. I’ve included these for all of the vowels in my Alphabet Poster pack in my store. All in all, we’re super happy to have some beautiful alphabet wall cards to practice literacy skills and display on the wall. I’d love to hear about one of your favorite alphabet activities!